bank of India under the section 23 of the banking regulation act, 1949. In branch licensing, banks had referred to the guidelines of the Reserve bank of India from time to time, including change of premises, shifting from branches to other locations, etc. Setting up of Offsite ATM. Mobile branches and acquisition of premises. Setting up of central processing Centre/back offices/call Centers/business facilitator/business correspondent model/doorstep banking. For the purpose of this policy, the branch would include all the branches such as full-fledged branches, satellite offices, specialized branches, extension counters, mobile branches, administrative offices, off-site ATM, service branches, etc. In the sense of call centres, it seems to provide only account/product information to their customer through a telebanking facility and it doesn’t want to provide banking transaction and direct interface with their customers. Also, it should not be treated as a branch. 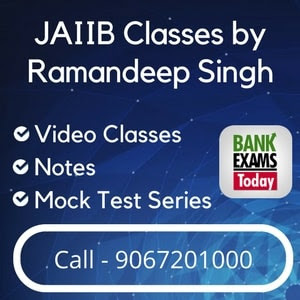 Domestic scheduled commercial banks other than RRB were permitted to open branches in tier 1 to tier 6 centres without getting permission from the Reserve bank of India. For the purpose of uniform spatial distribution, banks were motivated to open branches in underbanked centres, also in underbanked districts of underbanked states. An underbanked centre would be referred to the Average Population per Branch Office is more than the national average. For the purpose of increasing banking penetration and financial inclusion, this policy had mandated to open new branches in the unbanked centres and also atleast 25% of all branches should be opened in a year at this unbanked rural areas. Because these centres didn’t have any mortar and brick structure of a scheduled commercial banks for customer based banking transactions. 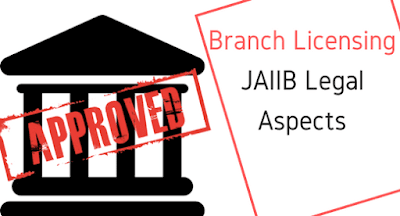 These kinds of branches could get general permission for the opening of scheduled commercial banks in tier 1 to tier 6 centres across the country in which these branches were encompassed specialized branches, extension branches, services branches, central processing centre and all other offices of the bank. So there was no requirement to approach the RBI for the authorization purpose. These banks would formulates their own annual plan for the financial year, approved by the RBI as a part of their annual strategy for branch expansion in which that plan must contain various factors such as the setting up of the low-cost branches, innovative use of technology, including internet banking and virtual banking to reduce physical footfalls, improving customer service, etc. While opening new branches in various centres, the total number of branches opened in tier 1 centres during the financial year should not exceed the total number of branches opened in tier 2 to tier 6 centres during the financial year. Banks had ensured that all the branches opened in that year were in compliance with the rules specified. In case banks were unable to open new branches in that year, it could be eligible to open these branches in tier 1 centres for the next subsequent 2 years. Banks with some other reasons for unable to open branches in tier 2 to tier 6 centres or unbanked rural areas, it would be rectified by way of opening new branches for the next financial years. Banks could open satellite branches where it doesn’t have viability to open branches in rural areas. Banks could also open extension counters for the purpose limited type of business at the premises of the institutions such as big offices/factory units/hospitals/military units/educational institution, etc in which they were principal bankers. An annual report of all the branches should be placed before the bank's board at every year ending March 31st and also forwarded to the Department of Banking Operations and Development, RBI, Central office. Above conditions were also applicable to the Regional Rural Banks and also Urban Co-operative Banks. But there is some amendments in this rules.